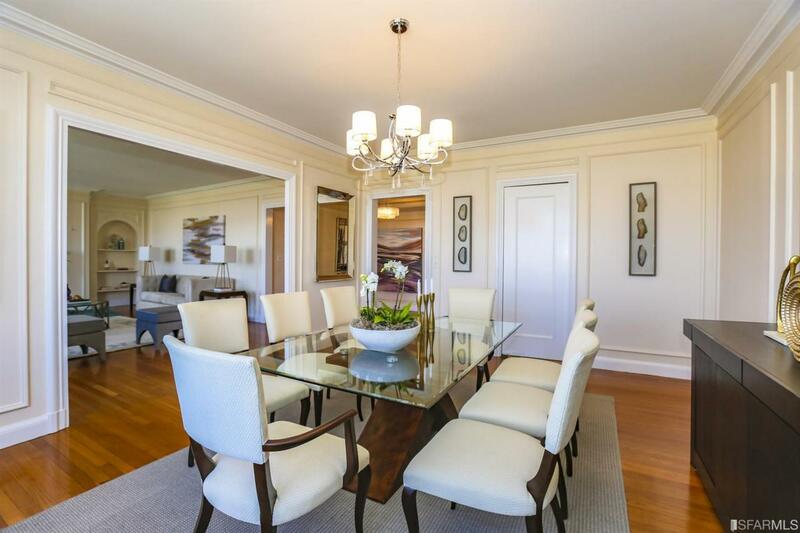 Panoramic Bay & Golden Gate Bridge view four bedrooms, three full baths full floor condominium. Building lobby just upgraded in December. 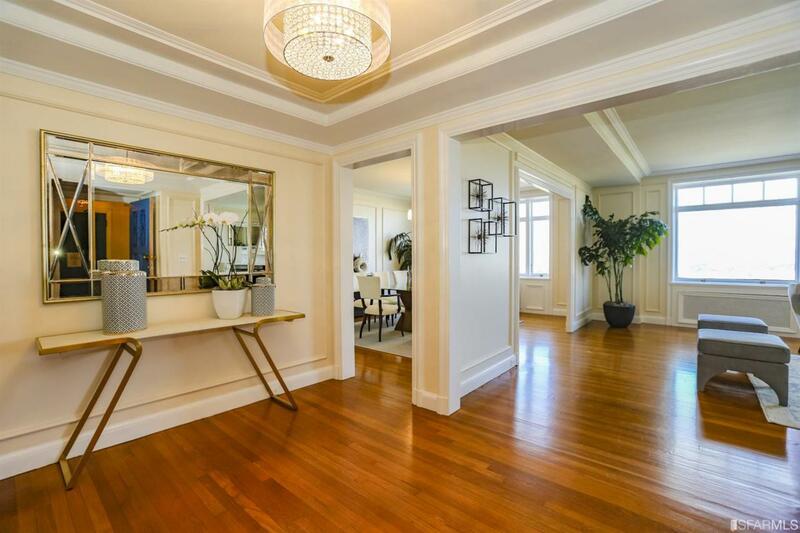 Located on a great flat block of Pacific Heights two blocks walking distance to Union Street shops and restaurants. 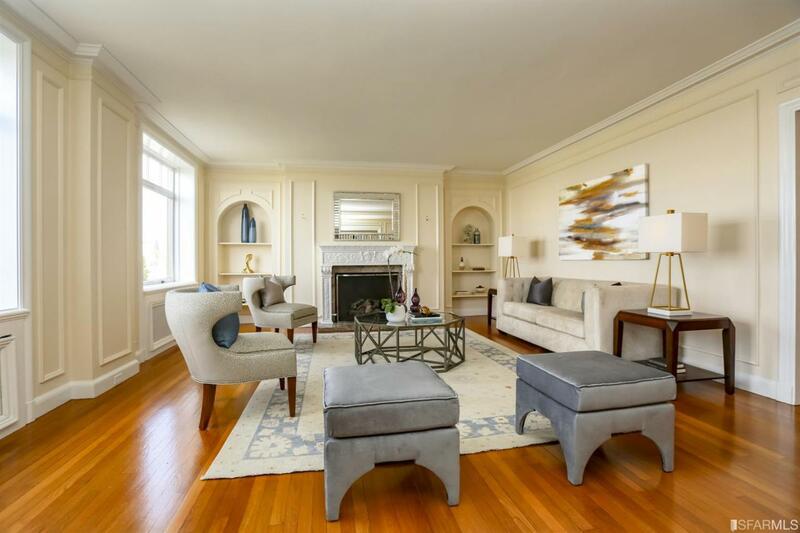 Living room with grand fireplace & formal dining room both enjoy GG Bridge views, high ceilings, moldings, and hardwood floors. In-unit laundry rm with washer/dryer has second service elevator. One car parking in garage with elevator access. Listing provided courtesy of Floyd Turnquist of Citiland Investment Corp..